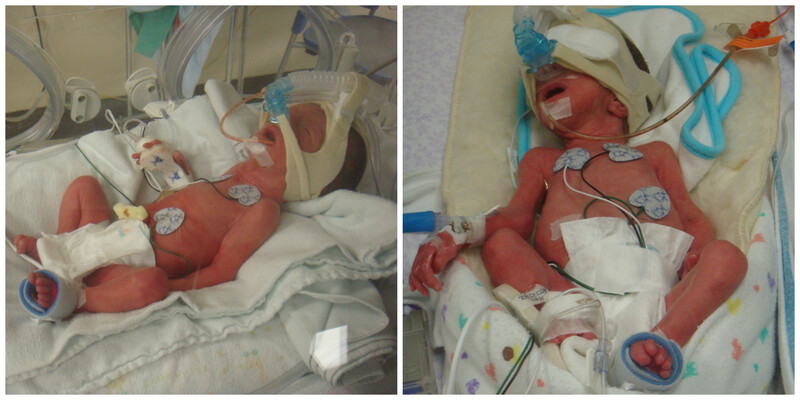 I knew early on in my twin pregnancy, that our girls were going to be born premature. This news was the second shock wave that hit us after finding out we would have twins around 9 weeks of pregnancy. So how did we know we were guaranteed an early delivery? We were having monoamniotic-monochorionic twins, or as some refer to them, momo twins. Monoamniotic-Monochoronic twins share the same amniotic sac and the same placenta – this is due to their egg splitting late (day 8-14). As a result, they do not develop their own little spaces in the womb. If an egg splits even later than the 14th day, this is when you get conjoined twins. To say our minds were blown at this news is an understatement. But, it was even more complex than we ever imagined. A momo-twin pregnancy happens in less that 1% of twin pregnancies and comes with a great number of uncertainties and hurdles to cross before you get to take your babies home. Prior to the age of viablity, the incidence of death for one or both babies is about 50%. Once the babies make it past the earlier months, the chances of twin survival go up to 75-80% with agressive monitoring. Most high-risk maternal fetal medicine doctors require aggressive inpatient monitoring at viability (24-26 weeks) until 32-34 weeks. In addition to this, the babies can only be delivered by c-section – the risks of a cord accident are too high during a vaginal birth. If you make it through to your delivery, you then face the uncertainties that come with a premature birth. The fact that momo-twins have skin-to-skin contact (see image above) is both beautiful and terrifying. We knew that at any given time, we could lose one or both of our girls to a cord accident. Each ultrasound had us holding our breath, hoping for good news. Momo-twin umbilical cords are not protected from one another. They can become compressed (as the babies begin to grow and fill their space) or tangle – causing their nutrition and blood flow to be cut off. These scenarios, as you can imagine put the babies at risk for severe disabilities or death which is why the need for monitoring. I was admitted for pre-term labor at 23 weeks. Our girls arrived at 28 weeks due to cord complications. I had an emergency c-section. They weighed 2lbs 11 oz and 2lbs 14 oz. Our NICU stay lasted 11 weeks, making our entire hospital stay four months long. Premature births happen for a variety of reasons, this is just one of them. 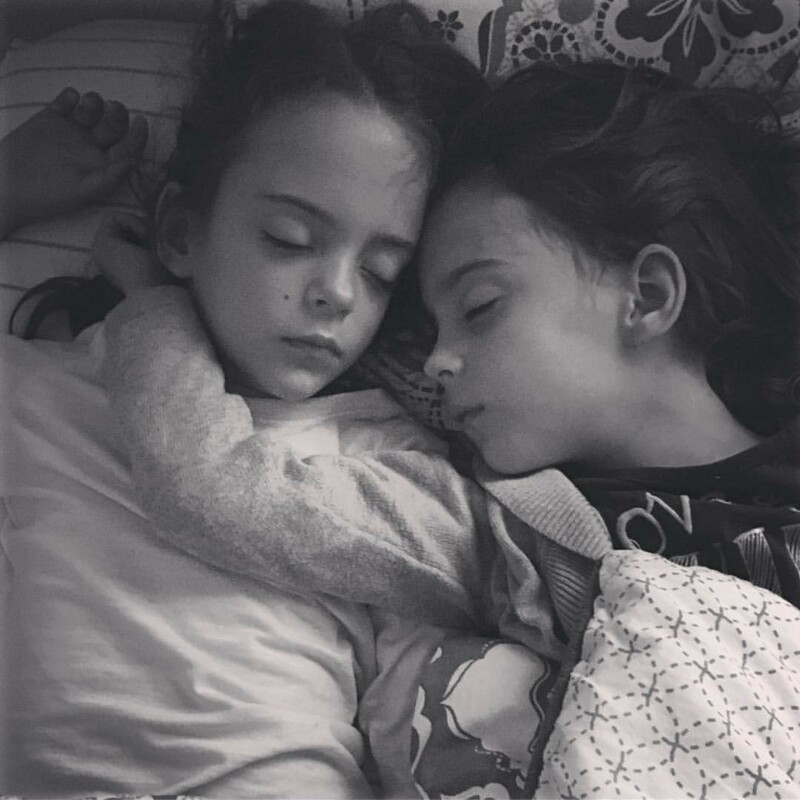 We are a fortunate family because our girls made it through and they are thriving at nearly seven years old – still as close as they ever were. For other parents enduring a momo-twin pregnancy – our family advice is to always speak up and advocate for your babies and yourself. This journey isn't an easy one, but you can get through to the other side. For more information on fighting premature birth, check out the March of Dimes. Join us on November 17th for World Prematurity Day and help raise awareness around premature births by sharing your stories and photos in the mom.life app and on social.